In 1919, J.B. Judkins received a large order from Mercer that consisted of mostly open bodies. As Judkins’ plant was set up to build closed bodies and couldn’t fit in the 200+ order in their already busy production schedule, a decision was made to set up another plant across town to fulfill it. At that time, Stanley L. Judkins, was helping his father, Frederick, in the day-to-day management of the family’s body building business. It was decided that Stanley would run the new concern, and William Jeffrey, an experienced Amesbury body man, and John Marshall, a forty-two-year-old Scotsman who had settled in Merrimac in 1917, were hired to assist him in setting up the new plant. The former Jackson Hard Fibre Plant was outfitted for body production and the new firm officially entered into business in January of 1920. Close to 100 craftsmen were eventually employed at the new plant by the time production was in full swing. Tragically, Stanley L. Judkins passed away after a short bought with the flu late in 1920, so day-to-day operation of the plant was entrusted to William Jeffrey while John Marshall handled all of the firm’s business and sales. Jeffrey left Merrimac in 1928 to go to work at the Walker Body Co. in Amesbury, and Marshall assumed complete control of the firm at that time. Although it was started by a member of the Judkins family, Merrimac was operated independently of their cross-town cousin which was run by Stanley’s older brother, John B. Judkins, who was enticed back to the family firm after Stanley’s untimely demise. At the time of the order, Mercer was a well-established Trenton, New Jersey automaker that was formed in 1909 by the Roebling family, Trenton’s wealthy bridge-building dynasty. Their reputation was permanently established in 1911 when Mercers won six major motoring events, and their victories continued through 1916 when their legendary rivalry with Stutz commenced. 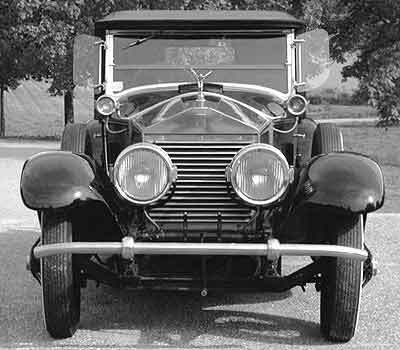 However, personal tragedy haunted the Roeblings during the second decade of the 20th century, and the firm was sold to Emlen S. Hare, a former Packard executive who also controlled Simplex and Locomobile. Unfortunately Hare’s automotive empire collapsed in 1921, and Mercer went into receivership. As they soon found out, Mercer’s order, initially accepted by J.B. Judkins Co., was paid for on credit. Luckily for Merrimac, their parent company, J.B. Judkins was in good financial shape and absorbed the loss for the new bodybuilder, allowing Merrimac to continue in business. Ironically, Merrimac bodied one of the Elcar-derived Mercers that Harry W. Wahl exhibited at the Hotel Montclair during the January 1931 New York Auto Show. Open cars were still popular and Merrimac received large orders from a number of manufacturers who included DuPont, Flint, Franklin, Locomobile, Mercer, and Rolls-Royce. They also did a lot of custom work for many of the same Boston luxury car dealers who also did business with Judkins. 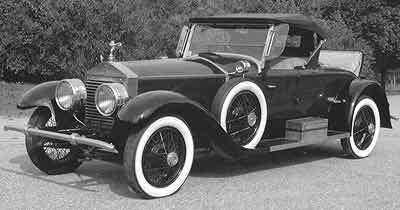 According to William Jeffrey, Merrimac received and completed an order for 12 "deluxe" touring bodies from Puritan Motors, Boston’s Lincoln dealer in 1921, but only delivered one half of the order before Leland was bought out by Ford. Puritan’s president, Otis J. Funderburk, requested that Henry Ford (or possibly one of his representatives) stop at the Merrimac factory to take a look at the undelivered bodies. No hard evidence exists that Ford ever visited the plant, although he did own the Wayside Inn in nearby Sudbury, Massachusetts and made periodic visits to the state. However he might have, as Jeffrey stated that "the next day an order was received from the Ford Company for the six bodies." 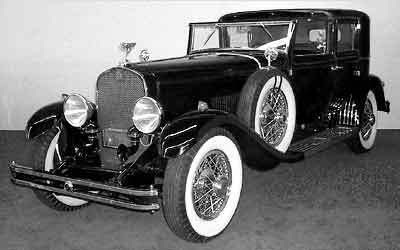 Unfortunately, no additional orders from Lincoln were forthcoming although Merrimac built a few individual custom bodies for Puritan Motors, including one magnificent 7-passenger convertible sedan-limousine on a 1926-27 Lincoln Model L chassis. It was unusual in that it in addition to the customary division window, a third, folding windscreen was fitted for use by the rear seat passenger when the vehicle’s side windows were lowered. New England’s Packard dealers provided Merrimac with some business during the twenties as well. A number of four-door sedans, coupes and limousines were built for Packard chassis as well as a roadsters, phaetons and landaulets. A number of Cadillacs were known to have been bodied as well as a handful of high-end European imports. But Merrimac’s largest customer was the Springfield, Massachusetts automaker, Rolls-Royce of America – whose products are commonly known today as Springfield Rolls-Royces. 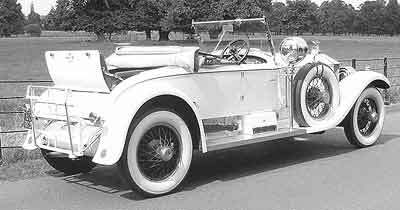 At its inception, Merrimac became part of the firm’s Custom Coachwork Division and from 1923 to 1927, supplied them with over 420 bodies “in the white” (unpainted and untrimmed) - mostly open touring cars and roadsters, although a few coupes and town cars were built as well. 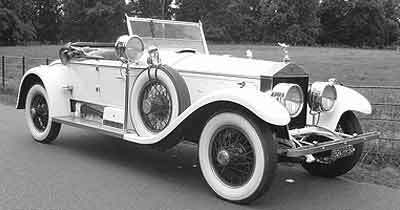 Merrimac’s most popular Rolls-Royce body was the Pall Mall five-passenger touring car, with 200 examples. Next popular was the the "Oxford" seven-passenger touring with 77, followed by the "Mayfair" town car with 70 and the "Piccadilly" roadster with another 70. Well over 50 surviving Silver Ghosts and Phantom I’s still carry their original Merrimac-built bodies. Fred Roe, author of Duesenberg: Pursuit of Perfection, had an unusual experience with a Merrimac-bodied Rolls-Royce he bought used in 1938 for $125. When he sold the car during the War, he removed the body plate as a memento. While attending the Heritage Plantation Museum in 1973, he noticed that a Rolls on display was missing its body plate. Further investigation revealed that it was the very same vehicle that he had sold back in 1943. Fred still had the plate for body #M492 and gave it to the museum, who gratefully re-affixed to the vehicle. In 1923-24, Merrimac built a small number of fabric-covered bodies using the patents of Kenneth L. Childs. In 1923, Childs formed the Fabric Body Corporation in Detroit, hoping to sell licenses for bodies paneled in Meritas cloth, a product comparable to Zapon and Rexine and manufactured by Standard Textile, his former employer. Merrimac built two Meritas-covered four-door sedans on Peerless chassis for display at the 1924 New York Auto Salon, their first-ever display at the event. 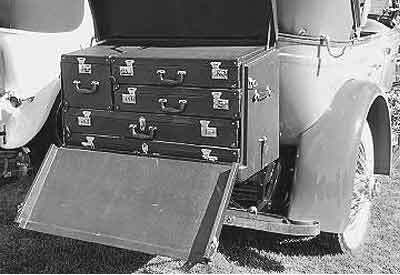 Outside of the same event, Childs displayed a Meritas-bodied Packard that had been driven twenty thousand miles during the previous 12 months, highlighting the durability of his product. At least one Meritas-bodied Lincoln is known to have been built, as well as a tiny roadster body built for Springfield, Massachusetts’ Indian Motorcycle Company. In 1927 Indian briefly tinkered with the idea of introducing a small automobile, and hired Merrimac to build the bodies for two prototypes - the first, the Meritas-bodied roadster – the second a metal paneled delivery van that is still known to exist. A handful of convertible sedan bodies were built for Rolls-Royce between 1928 and 1930 using the Childs patent. However, they weren’t destined for new Springfield chassis. 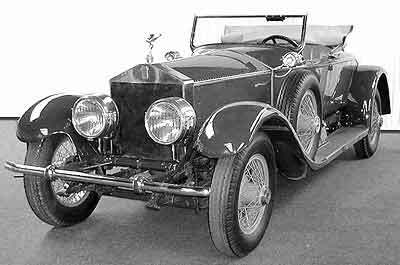 In the late twenties Rolls-Royce did a considerable business selling refurbished Silver Ghost chassis whose older and worn-out limousine and town car bodies had been replaced with more saleable roadsters and sport coupes. They commissioned Merrimac to built a small series of convertible sedan bodies based on Brewster’s Newmarket, that was being currently outfitted on new Phantom I’s. At that time, the Weymann fabric body was gaining popularity in Great Britain, and by using a Merrimac-built Childs’s body, Rolls-Royce could offer their American customers a similarly-equipped vehicle at a fraction of the cost of a new Weymann. Records indicate that at least ten were built, but gaps in the number sequence suggest a larger number of from 15 to 20. Two of them are known to exist, both bearing a Merrimac Body Company name­plate on the doorsills. A few leftover non-fabric Merrimac roadster and touring car bodies were used in Rolls-Royce’s pre-enjoyed program as well. Merrimac built a number of limousine and convertible coupe bodies for Locomobile Chassis in the mid-to-late twenties. 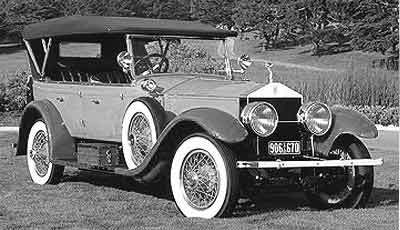 The convertible coupes were built in a small series of about 25 for the Model 8-80’s custom body program and the limousine bodies were built in even small numbers for Locomobile’s last long-wheelbase senior chassis. After Durant moved his low-priced Flint Automobile’s assembly plant to Elizabeth, New Jersey in 1926, Merrimac reportedly supplied them with touring car bodies as well. 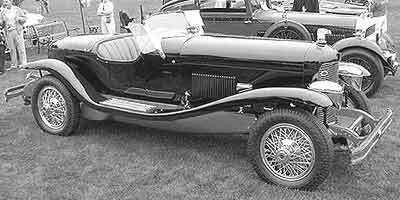 Several hundred touring car and roadster (“Sport Runabout”) bodies were supplied to Syracuse, New York’s Franklin Automobile Company during 1928 for their new Series 12-A chassis. Although they had a long-standing relationship with the Walker Body Company in nearby Amesbury, for reasons unknown – possibly the closing of Buffalo, New York’s American Body Co., an earlier supplier of touring car bodies – Franklin gave Merrimac the order. The Merrimac-bodied Sport Runabout came equipped with a rumble seat and an attractive boat-tail and is highly prized by collectors today. 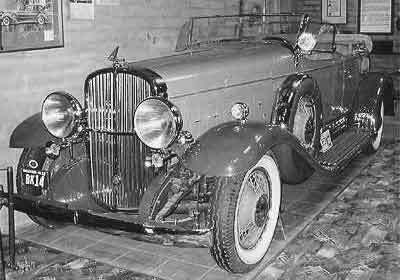 Merrimac built a handsome dual cowl phaeton for Franklin’s custom body program in 1931. Two exist, the first, a replica, is in Thomas Hibbard’s Arizona Franklin collection and the original resides in George Staley’s Norwich, New York’s Northeast Classic Car Museum. Merrimac is best known today for their gorgeous bodywork that graced the DuPont automobile from 1927-1931. Designed by duPont’s G. Briggs Weaver, they built a number of different styles, most of which were open. The most famous duPonts, the “LeMans” style speedsters – both two- and four-seat versions - were all built in Merrimac’s shops. Over 120 bodies were produced for E. Paul duPont’s luxury car, making Merrimac their largest body supplier. At least 19 Merrimac-bodied duPonts are known to exist - most are open tourers and speedsters, but also included are a sports sedan and very rare DuPont town car. “Other new exhibits at New York will include bodies built by Merrimac and Waterhouse on the duPont chassis, after designs of the duPont body department. Merrimac will present a four-passenger ‘speedster’ of extremely sporting character finished completely in gray, except the wheels and bumpers, which will be in scarlet. The Waterhouse Co. will show a town car of interesting design, finished in sable, but with the wheels, bumpers and recessed door-belt panel in ivory which will also be used for the striping. The body sides are carried down to the running boards, and swept up to meet the cowl molding at the dash.” The speedster by Merrimac, incidentally, had red and ivory snake-grain leather upholstery. The speedsters only had doors on one side of the body, and the cycle fenders were easily removed for racing. Although few if any new bodies were built by Merrimac after 1931, they kept busy painting and refurbishing existing bodies for their most loyal customers. A number of customers commissioned them to modernize their existing vehicles, and several older bodies were remounted on newer chassis. 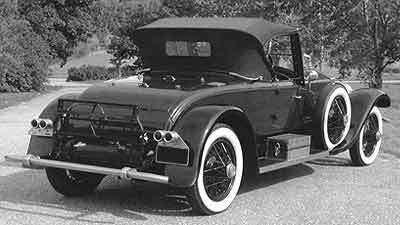 In their final years they mounted a Pierce-Arrow roadster body to a Rolls-Royce chassis and even converted a Rolls-Royce limousine into a roadster. Still under the control of John Marshall, after 23 years in business, Merrimac closed its doors in 1934. Luckily, over 90 Merrimac bodies exist today in the hands of their appreciative owners, and it’s not uncommon to see one at some of the larger Northeast auto shows during the summer.